Most entrepreneurs are familiar with losing sleep in order to run their companies. Jeremy Hitchcock’s lost sleep caused him to create a company. 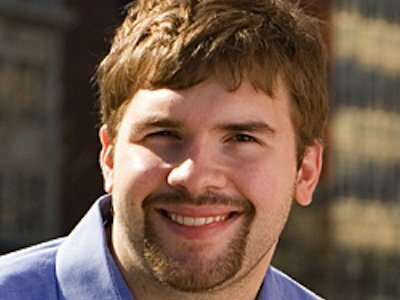 Messing around with remote access as a college student, which allowed him to print papers without stepping foot in the computer lab, saved him 20 minutes of his treasured sleep – and proved to be the genesis of Dyn, an Internet Infrastructure as a Service (IaaS) leader. The quest for sleep is only one quirky aspect of the story behind this startup that does serious business. Location: New Hampshire. Years in business before completing a Series A Round of $38M: 11. What exactly do they do? Well, a lot, but in terms that I can relate to, they make websites run faster, more reliably. I have always liked to solve problems. As an entrepreneur, you have plenty of those. Plus, I have always had an unhealthy obsession with learning. When you’re running a startup, you get to try out a bunch of roles and skill sets – sales, accounting, engineering, marketing, heck, I’ve even fixed a broken printer. As your company grows and you hire talented people to fill many of those roles, a whole new set of challenges arise and you get to learn all over again. A love of sleep. When I was in college, I had a lot of early morning classes. I didn’t like this so I started playing around with remote access. Being able to directly access my dorm computer enabled me to print off my papers from my classroom, and thereby avoid the computer lab… and get an extra 20 minutes of sleep. This project ultimately evolved into Dyn, which now powers Managed DNS, Traffic Management, Email Delivery & Email Reporting for more than four million enterprise, small business and personal users. Twenty minutes of sleep might not seem like a lot, but it was enough to motivate me to start a business. Dyn is sort of like a Griffin – we’re kind of a hybrid. Technically, we don’t really fit in the startup community because we’ve been around since 2001. But, a lot of startups look to us as a success story – a bit of an older brother – because we successfully bootstrapped until 2012 when we took our first round of outside funding. Yet, many of our competitors are large, publicly traded companies who look at us as if we’re a startup. That’s fine by us. We’ve embraced the role and love the startup vibe. This has helped us relate to a lot of potential customers. Also we have a lot of indirect competition, which makes us think about the macrosystem and about adding value more than stealing from others. For me this goes hand-in-hand. To motivate myself, I surround myself with the best and the brightest. Knowing these people will challenge me every day and bring tons of ideas to the table means that I always have to bring my A game. That is incredibly motivating. To motivate them, I empower them to make decisions. Once they feel like they have ownership over their jobs and a voice in the company, they are motivated to speak up and help lead. It is a pretty nice situation. Professional jazz trombonist or a charter pilot. Try to build a company, not just a product or feature. We all know features are exciting and fun. However, having too many features without understanding how they fit into your company strategy means you’re at risk of stretching yourself too thin and watering down your brand. It is easy for this to happen. It takes a lot of discipline to be the best at one thing when it is so much less risky to just try to appeal to everyone. However, you can always build a successful company around being the best. What has been the biggest startup surprise for you (good or bad)? What has been surprising is how there has been this blurring between the truth and the legend. For example, it often gets repeated that we started Dyn in a dorm room. Sure we started it in college, but not in a dorm room. Yet that is what is always said. I am not sure where it came from nor how it continues to flourish. I try to keep everything in perspective. While I face a lot of problems and challenges on a daily basis, they are all first-world problems. 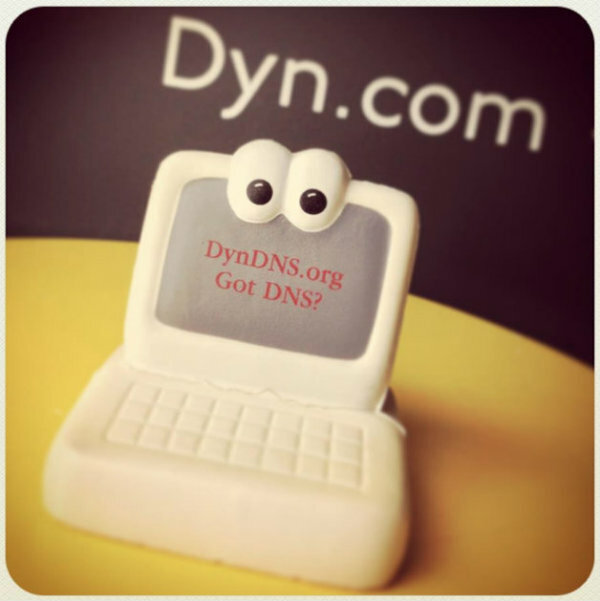 I want more than anything for Dyn to be the best provider of Internet Infrastructure on the web. But I also know that my worst day is still very lucky. What are the top 3 online tools / websites / devices that you couldn’t live without? Definitely something in the education space. I’d love to have a greater impact promoting the importance of STEM education. I love what I do, so it doesn’t feel like I’m working at all. I would hope it would be Clooney in Ocean’s 11. He always has the answers ahead of time, but he’s probably making it up and terrified that the stack of cards will tumble at anytime. Loved the theme of Sneakers. Being an entrepreneur is incredibly challenging, however, I think those challenges have made me a better man. I have also been blessed. Dyn has been very successful, and as such, I’ve been given a great platform to give back. We’ve tried to do that by creating DynCares, which is our philanthropic arm. Through that we’ve funded a lot of great non-profit organizations. Helping to improve my community is a very enriching experience. When I graduate college, everyone told me that Silicon Valley is where successful companies go. 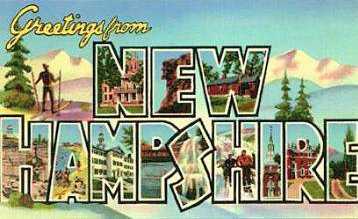 Instead, I decided to return home to New Hampshire. People were shocked. There was no tech scene there they said. I didn’t care. I knew I could help build one. Fast forward ten years and New Hampshire is thriving. Organizations like the abi Innovation Hub and the New Hampshire High Tech Council are discovering and encouraging tons of entrepreneurs and startups. We also benefit from having great proximity to Boston. It is a very exciting thing to be a part of. 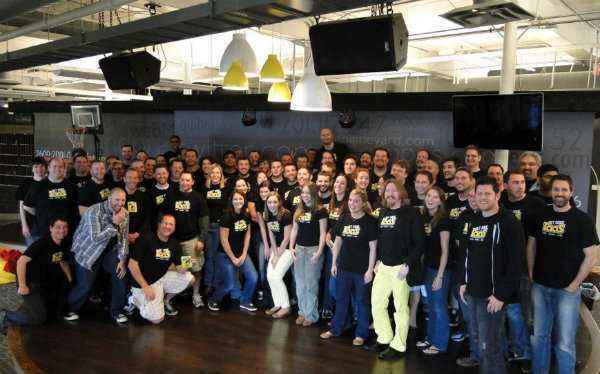 We’d love for you to follow us on Facebook and Twitter @dyninc. Say hello and take a look around our website, Dyn.com. We may be able to provide a service you need. One last thing, what’s your favorite adult beverage? It’s summertime, so a gimlet.